Block & Nation was looking to use technology to streamline work, improve documentation, provide better sharing of patient history among doctors outside of the practice, and increase efficiencies and profitability. The practice realized that it needed an Electronic Medical Record. Dr. Bradley Block spent six months researching and comparing dozens of different EMRs to fit its office needs. The lengthy search revealed that the eClinicalWorks comprehensive EHR solution with unified practice management was his group’s top choice. The document imaging and storage capabilities were cutting edge, and eClinicalWorks was priced more favorably than any EHR with similar capabilities. The data migration of over 14,000 patient demographic files went very smoothly; the scanning of paper files, forms, insurance cards, and driver’s licenses was quick and easy as patients came through the office; the staff and physicians quickly learned to use eClinicalWorks; Block & Nation is currently using eClinicalWorks P2P; and the return on investment that the practice achieved over a three-year period is substantial. eClinicalWorks makes the check-in and check-out process very easy and basically error proof. Once the electronic claims and payments from insurance companies are received, there’s very little that the billing office has to do to put the information into the proper patient record. 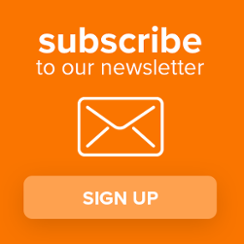 Automatic ERA downloads – downloads payments from clearinghouse and automatically posts to the appropriate patients…great feature! Accessible from anywhere; providers & employees can work from home instead of having to stay late at the office. Multiple staff members can work within the same patient’s record at one time. Without leaving the exam room while with a patient, a doctor can send a nurse an urgent message that he or she needs a radiology report on the current patient; a few minutes later, the nurse can send a message back that the report is ready for the doctor to pull up from the patient’s radiology file. 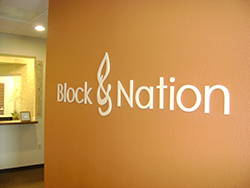 Block & Nation Family Medicine is a four-provider independently owned office. The majority of the patient visits are for routine medical care for young and middle-aged families. The practice’s goal is to create a medical office that gives high-quality patient care and excellent customer service in a pleasant environment.